Supracor's high performance, honeycomb saddle pads contour and flex with your horse's movements to absorb shock and prevent the saddle pad from slipping. 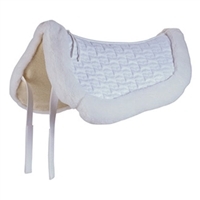 Most popular are our award winning Cool Grip saddle pads which will not only provide maximum shock absorption and ventilation but are a breeze to clean. Two year warranty. Simply hose off and shake dry! 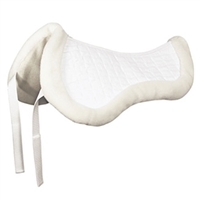 *These Supracor Saddle Pads are shipped directly to you from Supracor, they are located in California. If you are a California resident & are having your new saddle pad delivered to you in California- You will be required to pay the 9.25% California State Sales Tax, in order for Supracor to ship your new saddle pad to you. Please select the California State Sales Tax when ordering. Supracor saddle pads are Not eligible for any discounts, however you will still earn Loyalty Rewards Points.